The speeches, the tributes and John Travolta!? 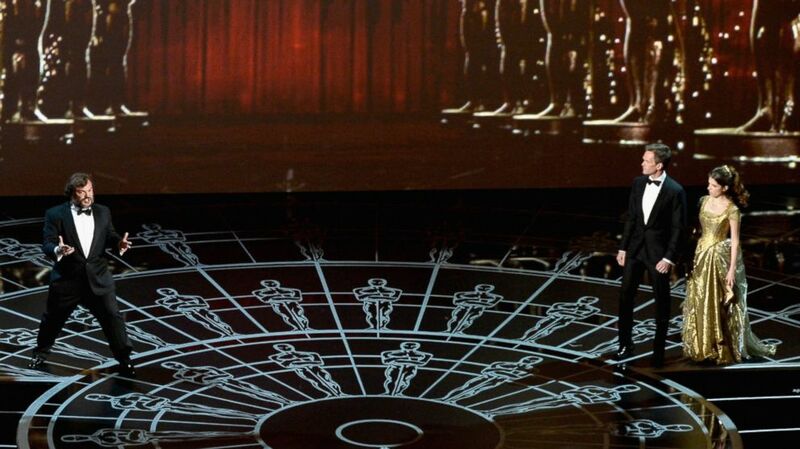 The 2015 Oscars came and went and the show did not disappoint. Neil Patrick Harris had big shoes to fill, following last year's host Ellen DeGeneres. But from the show's opening to its close, he amazed and kept everyone laughing the entire time. Plus, his predictions were pretty magical. (Kevin Winter/Getty Images) Jack Black, Neil Patrick Harris and Anna Kendrick perform onstage during the 87th Annual Academy Awards at Dolby Theatre on Feb. 22, 2015 in Hollywood, California. Harris opened mimicking iconic dances from these movies, then Kendrick came onstage wearing a gold, Cinderella-inspired gown. The two performed a duet for a few seconds before Black screams, "Enough!" the Tenacious D rocker then joined the duo on stage. It was incredible. Plus, later on in the show, Harris made us laugh yet again as he did a parody of "Birdman," coming on stage in his tighty whities, a.k.a. just his white underwear. From J.K. Simmons to Patricia Arquette, the speeches were all moving. Simmons won the first award of the night for Best Supporting Actor, thanking his beautiful wife Michelle Schumacher. "I am grateful every day for the most remarkable person I know, my wife," Simmons said. "I am grateful for you love, your kindness, your wisdom, your sacrifice, your patience." ( Kevin Winter/Getty Images) Actress Patricia Arquette accepts the award for Best Actress in a Supporting Role for "Boyhood" during the 87th Annual Academy Awards, Feb. 22, 2015 in Hollywood, California. Then he told his two children and all sons and daughters around the world, "Call your mom, call you dad. If you are lucky enough to have a mother or father on this planet don't text, call them." 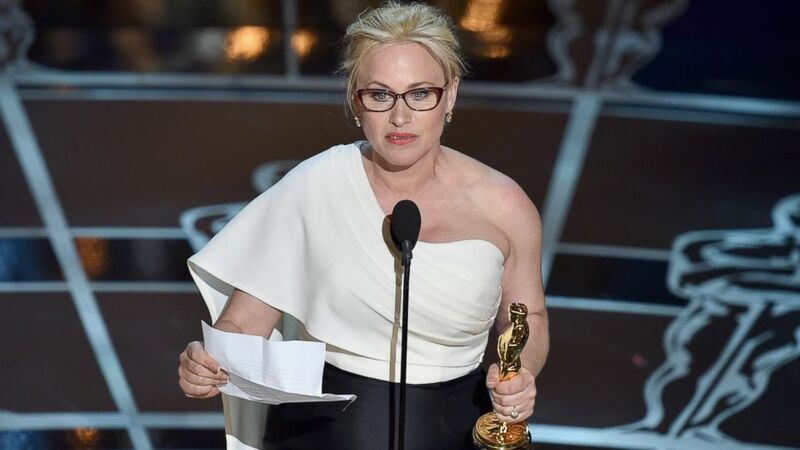 Patricia Arquette spoke about women's rights and equality. "We have fought for everybody else's equal rights. It's our time to have wage equality once and for all and women's right for everyone in America," she said, as Meryl Streep and everyone in the audience stood up and applauded. Dana Perry spoke about suicide in her speech following her win for Documentary Short Subject. "I lost my son. He was 15 when he killed himself and since that happened, what I said I think I said something like, we need to talk about suicide out loud to try to work against the stigma and silence around suicide because the best prevention for suicide is awareness and discussion and not trying sweep it under the rug," she said. Finally, when Graham Moore won for his work on the screenplay for the "The Imitation Game," he gave the world an insight into his inspiration and motivation for the film. Common and John Legend took the stage and performed "Glory" from "Selma," which many in the audience in tears, including Chris Pine and David Oyelowo, the film's star. The song then won for Best Original Song. Common said, "Recently John and I got to go to Selma and perform on the bridge that Dr. King marched on 50 years ago. ... It was once a landmark of a divided nation, now a symbol for change. ... The spirit of this bridge was built on hope." One year after flubbing Idina Menzel's name, Travolta took the stage again with the "Frozen" star and got it right. But he also grabbed and touched her face a little too much, which forced Neil Patrick Harris to comment at the end of the show. (Robyn Beck/AFP/Getty Images) John Travolta (R) and Idina Menzel present an award on stage at the 87th Academy Awards, Feb. 22, 2015 in Hollywood, California. 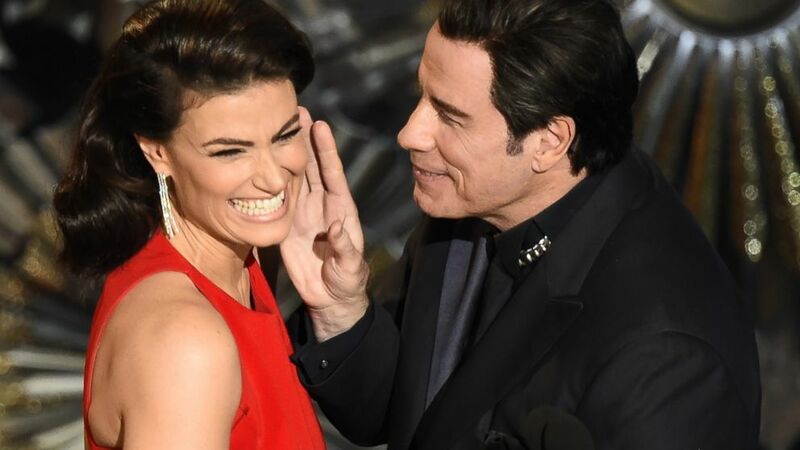 "Travolta will be back next year apologizing to Menzel again for all the face touching," Harris said. There was also this unique moment on the carpet where he posed for an awkward photo with "Avengers" star Scarlett Johansson, he snuck up behind her and kissed her on the cheek. Lady Gaga stunned yet again as she sang songs from "The Sound of Music." Everyone was stunned as she hit all the high notes and even made Julie Andrews proud, who then took the stage and was in complete shock by Gaga's talent. "Dear Lady Gaga, thank you for that wonderful tribute," Andrews said. "It's hard to believe 50 years have gone by since that joyous film was released. I blinked and here I am." Here's the full recap via the ABC News Live Blog.